Africa is a continent that is teeming with unique safari vacations. From the Kalahari Desert in Botswana to the Serengeti in Tanzania to sprawling national parks and game reserves in South Africa and Zimbabwe, you can expect truly magical once-in-a-lifetime travel safari destinations in Africa. Due to the multitude of destinations and travel experiences to choose from, deciding where to embark on a safari is no easy task. 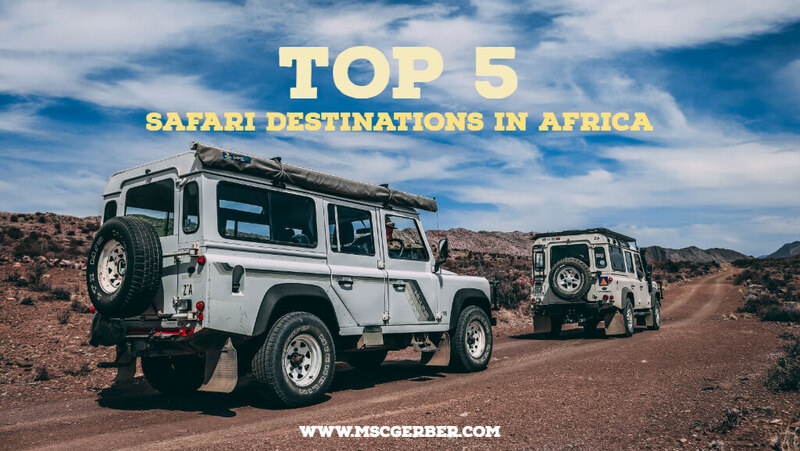 That is why we have curated the top five safari destinations to choose from in planning your next African adventure. Botswana is a great safari destination that has a conscientious approach and commitment to protecting its environment and wildlife. If you want to see large mammals, diverse fish, birds, and reptiles that live within untouched ecosystems, Botswana is the destination for you. The two most recommended reserves for safaris are the Kalahari and the Moremi. This game reserve (which covers 52,800 square kilometers) is home to large herds of wildebeest, hartebeest, buffalo, and giraffe. The best time to visit is after the rains when you can see clusters of wildlife, with prey and predator alike, taking advantage of the green grass vegetation and grazing areas. This protected reserve sits in the eastern part of the Okavango Delta (an expansive inland river delta in northern Botswana) and was named after Chief Moremi III of a Batawana tribe in 1963. It is a popular safari destination for bird lovers who can watch more than 500 species of bird in their natural habitat. Moremi is also home to several types of animals including wild dogs, impala, elephants, hippos, zebra, leopards, and lions. Those animals live within the diverse landscape of evergreen trees, mopane forests, waterways, and lagoons. 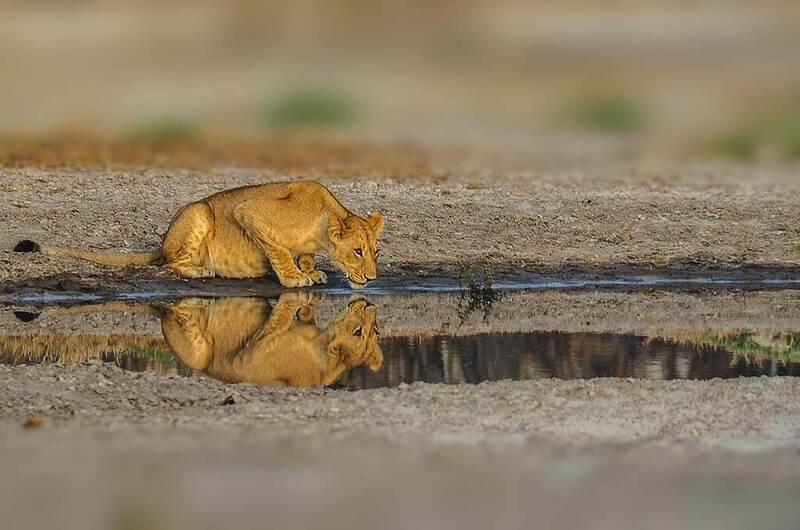 The best time to visit this particular game reserve is in the dry season, as the rainfall in summer can make the roads dangerous, with some lodges even closing their doors from December to February. Other amazing safari destinations in Botswana are Kasane and the Makgadikgadi Pan (salt pans). There are many countries in Africa where you can go on safari but there is only one Kruger National Park which is one of the largest game reserves in the world. It is also one of the cheapest safari destinations on the continent. That’s right. You can access Kruger National Park in a standard 2WD car (thanks to decent roads) and lodge in modest and affordable accommodations. If you’re a penny-pincher, you can even take your own food. Sound too good to be true? Let’s take a look at why Kruger National Park is one of the top safari destinations in Africa. Kruger is a gigantic park which measures 19,485 square kilometers – approximately the size of Israel or Wales. Home to the Big Five, with a large population of lions and endangered species of rhino, the park has an impressive road network with some tarred roads. Due to its advanced infrastructure and popularity, Kruger has become an affordable option with a variety of game viewing and accommodation options. In the Kruger National Park, it is possible to drive with your own vehicle. What’s the first thing that comes to mind when you think of Kenya? Is it scenic vast plains of the Rift Valley or the breathtaking migrations of the Wildebeests or captivating sunsets? All of those visuals are accurate. Kenya is synonymous with safari. 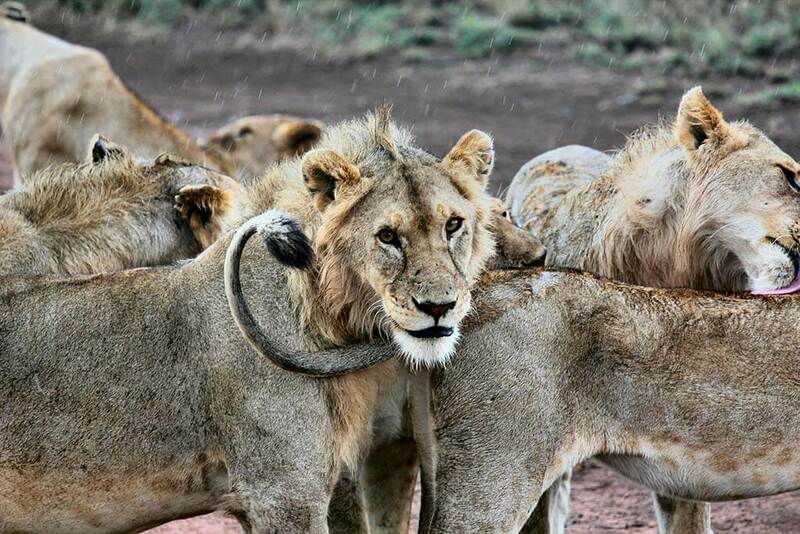 In the renowned Maasai Mara in Kenya, you can see a variety of wildlife including lions, cheetahs, leopards, and elephants in a spectacular landscape. Predator and prey roam freely within this protected area. In terms of landscape, the Maasai Mara sits on the Great Rift Valley and is mostly covered by the Central Plains yet also encompasses sandy soil, leafy bushes, grasslands, plateaus, and acacia woodlands. It offers an unspoiled natural beauty to experience unique adventures like the Great Migration. The Great Migration, which happens every year from July to November, is truly a once in a lifetime experience to witness the movement of millions of wildebeest, zebra, and antelope from the Serengeti across the Mara River to the Maasai Mara. This spectacular migration of herbivores from dry land in the Tanzanian Serengeti to water and food sources in the Maasai Mara offers a glimpse into a natural phenomenon and its effect on the life cycle of several animal species. Predators including lions, cheetah, crocodiles, and leopards can be more easily seen as they thrive during this time with the arrival of prey. The Samburu National Reserve, which takes its name from the Samburu people of Kenya, has diverse vegetation ranging from shrubs and grassland to palm trees. 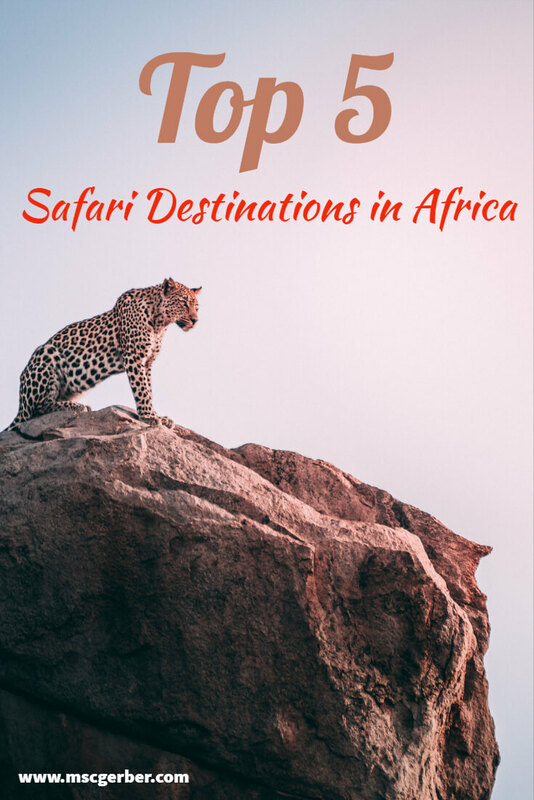 There, you can see an abundance of wildlife ranging from the reticulated giraffe, ostrich, elephants, lions, leopards, and cheetah, to name a few. It is also home to a number of “celebrity animals.” Have you heard of the Miracle Lioness who adopted a baby Oryx? They lived in this reserve. It is also one of the places where Elsa the Lioness was raised by conservationists George and Joy Adamson (highlighted in the award-winning movie “Born Free”). Samburu National Reserve is also a bird utopia with over 350 species of birds living in the serene and peaceful environment. It offers great viewing year-round, but the best time to spot large mammals is in the dry season when they openly congregate around sources of water. Altogether, it is certainly one of the best safari destinations in Africa. Amboseli National Park is one of the best places in the world for viewing large swathes of elephants at close range in their natural terrain. Over 900 African Elephants reside in the Amboseli. It also offers bird watching, camping, and game viewing in the lush and scenic surroundings. The park is home to the Big Four (of the Big Five) and several other large mammals including giraffe, buffalo, wildebeest, hyena, and several other predators and prey. 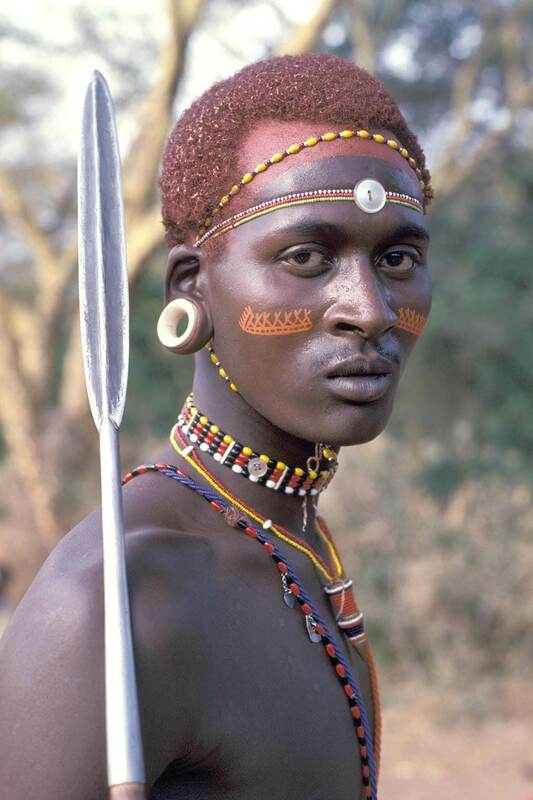 You also have the opportunity to visit the Maasai community and learn about their authentic culture. A key attraction of the Amboseli National Park for many tourists is the breathtaking views of Mount Kilimanjaro (the highest mountain in Africa standing at 5,895m). Although Zimbabwe’s safari industry is not as popular or as developed as South Africa’s or Kenya’s, it offers a spectacular assortment of wildlife and scenery (think Victoria Falls). It also offers well-trained game drivers and friendly locals to help you experience an enriching and truly unique safari vacation. The Hwange National Park is Zimbabwe’s largest national park (and the third largest in Africa) – it covers an area almost as big as Hawaii. You likely know it as the birthplace of Cecil the Lion but it has been the go-to destination for nature lovers for quite some time. It boasts a great concentration of large mammals (over 100 species), more than you would see at any other park in the world. 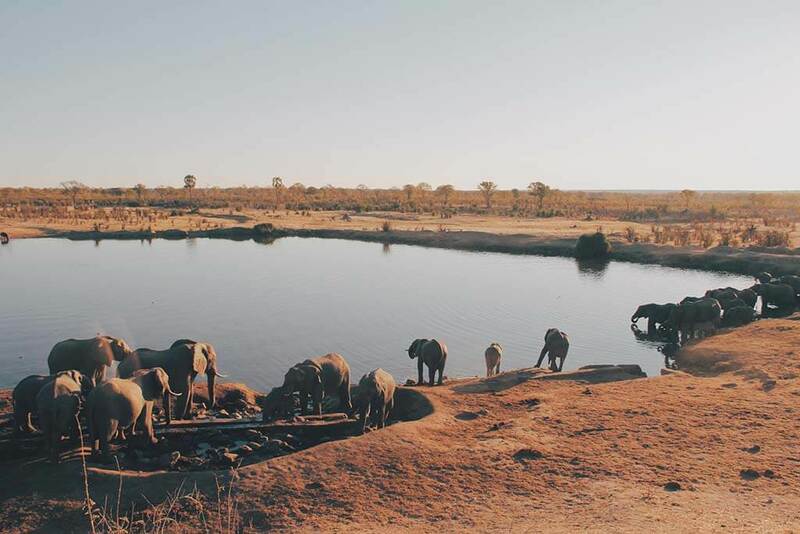 With over 46,000 elephants and large packs of lions which can sometimes number over 20 in a pride, Hwange National Park is one of the best kept secret safari destinations in the world. It is located within close proximity to Victoria Falls, which is the largest waterfall in the world and one of its 7 Wonders. Tanzania is a heavyweight safari destination as it is home to the Serengeti, Kilimanjaro, Ngorongoro Crater, and Zanzibar. It offers world-class wildlife, great safari lodges, and beautiful landscapes. The Serengeti National Park, in particular, is one of the best parks in the world to experience a safari in. This national park is a UNESCO World Heritage Site located in the north of Tanzania on the border with Kenya. 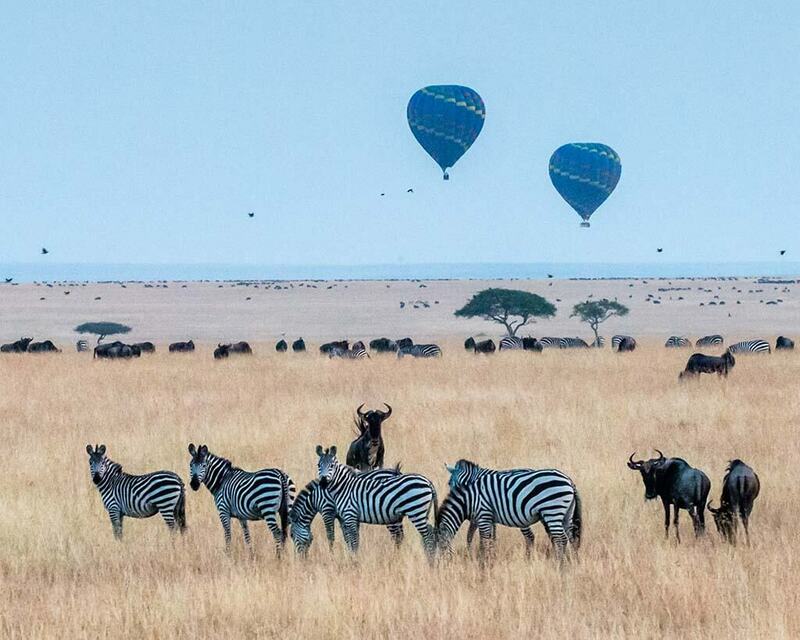 “Serengeti” is a Maasai word that means “endless plains”. It can be enjoyed year-round, but you may find that the best time of the year to visit is in the dry season which runs from late June to October, as this is when the Great Migration takes place. The Great Migration, as mentioned earlier, refers to a period when roughly two million wildebeest and other herbivores migrate from the Serengeti to the Maasai Mara – a distance of about 800 kilometers – in search of water sources and lush greenery. Along the way, they encounter numerous predators including crocodiles but persevere on to their destination. The sheer size and seemingly endless plains of the Serengeti means that you can enjoy your game drive without even seeing another vehicle. From January to February you can also experience the calving of the wildebeest – and witness the remarkable sight of a young wildebeest taking its first steps minutes after birth. In addition to the magical migration, the Serengeti is home to a large number of mammals due to the diversity and availability of prey, with approximately 3,000 lions living in this sanctuary. It, in fact, has one of the largest lion populations in Africa. The Serengeti is also known for boasting remarkable sunsets and is a fantastic place to capture a magical African sunset, in what feels like a world of its own. When planning or embarking on the truly breathtaking experience of an African safari, there are key things to note and consider. The first consideration is what you want to see and experience. The destinations we covered in this article offer experiences for every kind of nature lover. Pick one of the safari destinations in Africa, or two, and begin the adventure! Remember to always follow the common-sense rules that are given to you by your guide; the regulations of each park; and to behave sensibly around the animals. Sunglasses, cameras, and binoculars are always a great idea.